Should You Choose Dental Crowns to Restore Damaged or Fractured Teeth? 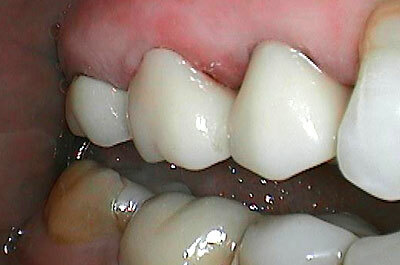 Dental crowns are a versatile, durable restorative dentistry solution used to repair broken, weak, or unsightly teeth. Crowns are designed to fit perfectly over a damaged tooth to transform its appearance while helping complete a natural-looking smile. This being said, it is important to keep in mind that when you visit a biomimetic dentist, the objective will always be to remove as little of the natural tooth as possible to minimize the need for a root canal. Should a tooth be so compromised or infected that root canal therapy is necessary, then that will likely be the course of action. 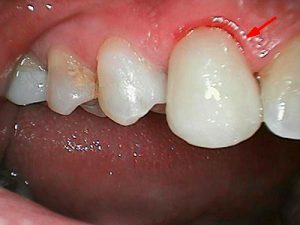 The goal, however, is to avoid treating a tooth with root canal therapy simply to help the tooth hold a crown. Dental crowns are carefully customized to suit your smile so that they will blend with your natural teeth. No one will ever know that you have a crown unless you share this piece of information. The shape, size, color, and overall appearance of your crown will complement the rest of your smile perfectly. If other options are possible to restore your teeth, however – such as onlays – those avenues will likely be explored by your biomimetic dentist before any further portion of your tooth needs to be removed for a porcelain crown. 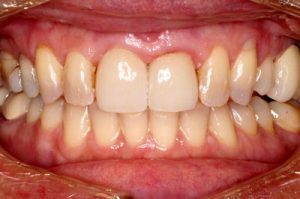 All-Porcelain Crowns: Also known as “all-ceramic crowns”, all-porcelain crowns are made entirely or porcelain or, occasionally, engineered dental ceramic. Aesthetically pleasing and comfortable, particularly for people with metal allergies, all-porcelain crowns are a popular option for sensitive patients in particular. Zirconia Crowns: are for patients with clenching and grinding habits. They are denser and are more resistant to grinding forces. Their composition makes it very easy to match the crown to the color of your natural teeth. Patients who have incredibly stained or damaged teeth often find ceramic zirconia crowns the best option. Porcelain-Fused-To-Metal Crowns: Abbreviated as PFM crowns, this version of the dental crown also looks completely natural. The PFM crown is also very durable. The main difference between a PFM crown and other crowns is that the exterior is made of porcelain while the interior is metal, giving it a great fit that is more compatible with your tooth. Metal Crowns: They may be one of the most durable dental crown options. These crowns are ideal for tight spaces, like last molars, which are often very short and cannot be prepared the same way as teeth that can have porcelain on their crowns. Dental crowns are typically completed in two visits to your dentist. The tooth must be shaped first for the crown, which will involve shaving the tooth down to a smaller size so that the crown will fit properly. Time is also needed for the crown to be customized to your smile. A mold will be taken of your tooth first and the crown will be created from the mold then cemented to your tooth when it is confirmed that the crown fits well and looks right. 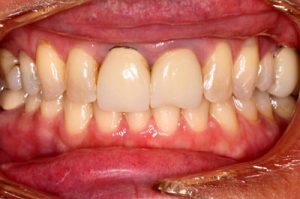 Because biomimetic dentists do everything to preserve as much of the natural tooth as possible, using minimally invasive and ultraconservative techniques, a porcelain crown may not always be the best choice. Tooth Onlays: Less-invasive than a dental crown and more effective than a filling, a tooth onlay is a tooth restoration that is often called a 3/4 crown. The onlay covers the center and cusps of the damaged tooth, being shaped to look like a natural tooth. 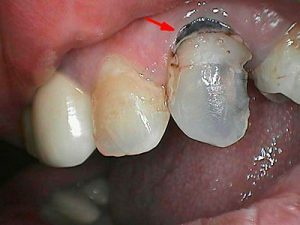 This technique, which results in durable and stain-resistant teeth, does not involve any invasive treatment. Tooth Veneers: If your weakened tooth is in the front of your mouth, a crown may seem like the only option for repair, but a tooth veneer can actually be your better option. Veneers do require some minor shaping of the tooth, but they are far less intrusive than a root canal or a crown. And the veneer offers a tooth covering that is attractive, natural-looking, and fully functional. Mercury-Free Tooth-Colored Fillings: Fillings and drilling go hand in hand, but that’s when a filling is needed to correct a tooth with a cavity. If your tooth is damaged in some way, but not enough to require a crown, a mercury-free tooth-colored filling may be a less-invasive alternative that can still correct and strengthen your compromised tooth. 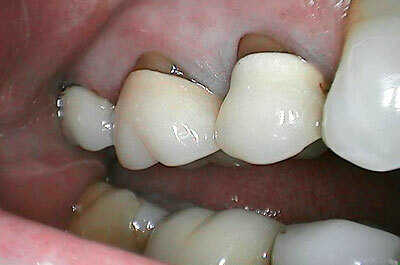 Porcelain crowns are an effective restorative dentistry treatment. They are secure, durable, and comfortable. 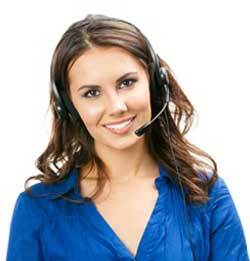 They also look natural which makes them a desirable option for many patients who are dealing with a problem tooth. Crowns make teeth stable and healthy once again, and take an unsightly tooth and reunite it with its smile family. Learn more about the dental crown options that are best for your healthy smile from Moorestown Dental Professionals in New Jersey.